A play created from Rachel’s own journals is struggling to meet production costs in order for it’s debut performance for MayWorks. 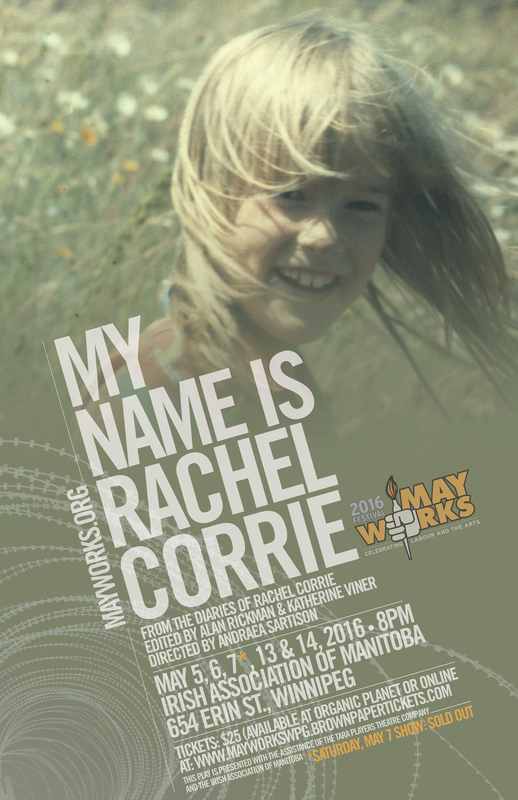 In the spirit of artistic expression, freedom of speech and the spirit of Rachel herself, we are asking you to donate what you can to help MayWorks’ successfully share Rachel’s life story. This is where YOU come in! We have established a fundraising goal of $7,500.00 (CAD), which, with your generosity and commitment to festivals and works which speak to the relationship between working peoples and the arts, is tenable over the course of the next 4 weeks. Even the smallest amount can help offset many critical production costs, including: actors’ wages, set design expenses and venue rental fees. Please take a moment to visit our campaign to find out more. MayWorks thanks you in advance for your generosity! This year will be the twenty-second annual Festival of Mandolins. MayWorks is in full swing! Tonight’s event – a book launch and literary thrill-ride for poetry fans and everyone else by one of Winnipeg’s most experimental poets – Ron Romanowski. A Reader’s Guide to the Unnameable is avant-garde Winnipeg writer Ron Romanowski’s sixth poetry collection. His first, Sweet Talking, was published in 2004. His work has appeared in journals and in numerous anthologies. His poetry has been read on national CBC Radio. Ron continues to work with, among many other cutting-edge themes, definitions of authorship and identity in his latest collection. Below is a listing of the events in MayWorks 2015. You can also download the program to access some of its additional content, such as There Is Power In A Union by songwriter Joe Hill. Tune in all month long as CKUW 959.9FM will be carrying news and coverage of MayWorks events! Tune in to “People of Interest” Mondays to Wednesdays from 8 to 9am. The MAIL ART exhibit is part of the world’s largest collection featuring the theme of work. MAIL ART is a worldwide cultural movement started in the 1960′s. The idea behind the movement is to bypass the elitist gallery/museum system of art. There are no hierarchies, no rules, all participants work is shown to the public. MAIL ART is non commercial, no entry fees, no sales and the yearly call is universal. On April 28th, take part in the annual Day of Mourning march from the Union Centre to the Manitoba Legislature. Sponsored by the Safe Workers of Tomorrow project, the theme for this year’s ceremony is “New, Vulnerable Workers”. Participating will be union activists and leaders, Members of the Legislature, representatives from the workplace safety community, and Manitoba Workers Compensation. Winnipeg Labour Council celebrates International Working Class Day with a march starting and returning to City Hall. This year’s theme is: “HOPE is COMING”. Bring your banners and demands for a better world. Duration of the march is about one hour. Everyone is welcome to gather at the Kings Head Pub after the march. Reserved area. A book launch and literary thrill-ride for poetry fans and everyone else by one of Winnipeg’s most experimental poets. 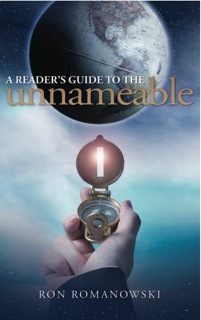 A Reader’s Guide to the Unnameable is avant-garde Winnipeg writer Ron Romanoswski’s 6th poetry collection. Vancouver artist Angela Fama, with her project “What Is Love”, is travelling this spring and summer across North America in a pop-up photo studio, setting up in collaboration with MayWorks and the support of the City Of Winnipeg. Fama will invite interested passersby to participate, conversationally questioning the word “love” and photographically capturing the micro-expressions shared in the process. “What Is Love” aims to reveal through this collaborative performance and comparative photography the strength and beauty of vulnerability that can be found within adults, regardless of age, race, nationality, income, sexual orientation or gender. “What Is Love” dedicates itself to unify communities across Canada and the United States through creating kinship and understanding beyond borders and perceived differences. This year will be the twenty-second annual Festival of Mandolins. The program will feature the Winnipeg Mandolin Orchestra under the direction of Annis Kozub and guest artists. The orchestras selections will include light classical arrangements of folk melodies by Ukrainian and Russian composers. Danny Schur hosts a concert of selections from his musical Strike! followed by a panel discussion about the legacy of the 1919 Winnipeg General Strike – at the national and provincial historic site, the Ukrainian Labour Temple – site of events during the strike. Coffee, tea and pastries will be served during the intermission. The 1919 Strike Bus Tour will take people through highlights of the General Strike, with a description of the social and economic conditions of the time. The tour starts on Selkirk Avenue, goes to the residential area and ends in the exchange. A Book signing of Winnipeg’s General Strike Reports from the Front Lines (Michael Dupuis). Steve Szczerbanowicz was one of two workers killed on Bloody Saturday June 21st, 1919. He was burried without a gravestone on the 29th of June. Through the offorts of two members of the MayWorks Board and the musical contributions of many local musicians two concerts raised the funds to cover the cost of this gravestone. Join us for the unveiling of this memorial stone, 96 years later, to pay your respect and honour the memory of this victim of Bloody Saturday. MayWorks draws on both the historical and contemporary experience of art that reflects the working class and the struggle for social change. It is held in Winnipeg each year in the month of May to honour and promote the many positive contributions made by unions and working people. The first MayWorks Festival was organized as part of the celebrations to mark the 75th Anniversary of the Winnipeg General Strike in 1994. Since then we have continued to hold the Festival in the month of May as part preserving and developing culture which reflects the struggles to defend and extend the social, political and economic rights of all. It is fitting that the theme for MayWorks 2015 is Celebrating Labour History. It is in recognition of the significant role the labour movement has played in the struggle for social progress. In the program you will find a feature on the labour movement which delves into a part of this history and some of the significant achievements. And, in terms of further contributing to the history of the Winnipeg General Strike, this year MayWorks will be unveiling a memorial to the other worker known to have to have been killed in the events of Bloody Saturday June 21, 1919. The unveiling on June 20th culminates a long effort to reclaim these two workers who were all but forgotten by the “official” history of the General Strike. No introduction to the Festival would be complete without recognizing the importance of the union support we receive and the artists who have responded to be part of the Festival. Whatever your interest we invite you to come and participate in the events that are part of this year’s MayWorks Festival of Labour and the Arts.